The SFP (Société Française de Physique) and the DPG (Deutsche Physikalische Gesellschaft) congratulate Dr. Luc Bergé laureate of the prestigious 2018 GENTNER-KASTLER joint prize. The Gentner-Kastler Prize is dedicated to an outstanding physicist whose research has led to top level breakthroughs, during his/her whole carrier carried out mainly in France or Germany. Luc Bergé is a theoretical physicist working at the CEA-France. His achievements clearly show that he is a world-class pioneer and leader in the modeling of nonlinear wave propagation, femtosecond laser filamentation, terahertz pulse generation and related applications. Luc Bergé’s creative theoretical work started in the early 1990s, when he derived a powerful analytical method to determine the characteristic scaling laws of wave-packets that develop a collapse singularity in self-focusing media. His next discoveries in nonlinear optics then consisted in the fusion mechanism of collapsing light beams and the arrest of wave collapse of ultrashort laser pulses subject to normal group-velocity dispersion. This work naturally led him to investigate the field of laser filamentation in which intense femtosecond light pulses can be self-guided over long distances in transparent materials by the balance between optical and plasma nonlinearities. In this context, Luc Bergé theoretically predicted that ultrashort laser pulses can self-compress down to the optical cycle in gases and in dielectrics through the filamentation process. This property, first reported in 2001 and 2003, was experimentally evidenced in 2004 at ETH Zürich, then in 2006 at the Max Born Institute in Berlin. Later, amazing properties of self-compressing near- and mid-infrared laser pulses close to and even below the optical cycle of the carrier wave were first proposed by Luc Bergé. During the recent past years, some of these predictions were confirmed experimentally thanks to the latest developments of femtosecond mid-infrared laser sources. He also made the first theoretical demonstration of the exceptional robustness of ultrashort optical vortices self-guided in air, which has been inspiring several works worldwide on femtosecond vortex-shaped pulses. In collaboration with German colleagues, among whom Stefan Skupin now CNRS researcher at the University of Lyon, Luc Bergé demonstrated that terahertz pulse generation proceeds from constructive interferences of ultra-broadband field emissions triggered by two-color laser pulses along attosecond-scaled ionization events. These induce a low-frequency component in the resulting electron current, which acts as an efficient THz source. This scenario is now well recognized as a groundbreaking result and it opens the route to laser-terahertz engineering. Luc Bergé’s major accomplishments in the modeling of nonlinear wave propagation and their impacts on atomic, molecular and plasma physics, his outstanding contributions in the understanding and predictive analysis of nonlinear laser pulse dynamics and laser-driven terahertz wave generation, and his long-term collaborations with German institutes are fitting more than very well the expected profile of the annual laureate of the Gentner-Kastler prize. The seminal work of Luc Bergé is a milestone in modern laser science. In addition, even it is not a key point for the prize laureates, let us underline that not surprisingly, Luc Bergé is also deeply involved in the scientific life of our community. He founded the international workshops on laser-matter interaction (WLMI) and more recently he was General Chair of the world-renowned conference CLEO/Europe. 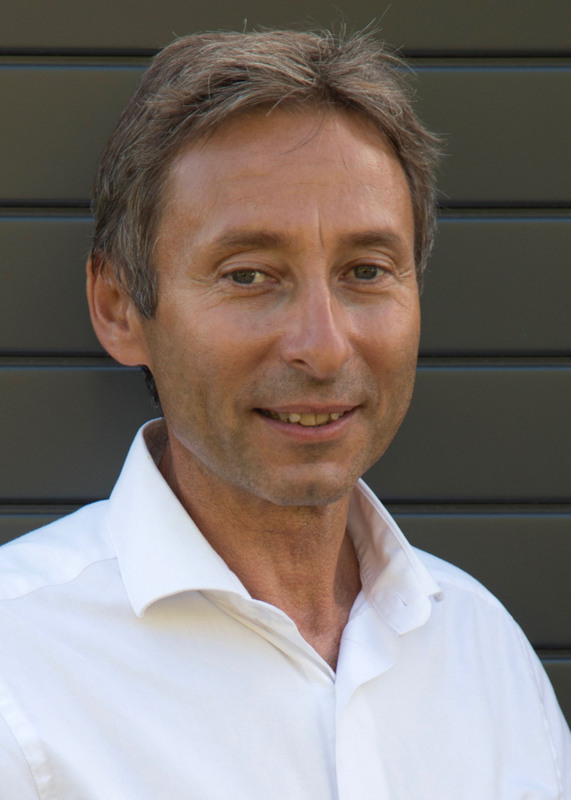 He has been chairing the Quantum Optics and Electronics Division of the European Physical Society (EPS) and has been elected Member of the Executive Committee of this learned society. "For his outstanding contributions to the modeling of nonlinear wave propagation and laser filamentation, as well as for his long-term and ongoing commitment to European and especially German-French cooperation. Laser filamentation is crucial for the introduction of a new way of sensing substances in the atmosphere, as well as for laser-guided terahertz wave generation by ultrashort light pulses."